Walk-in cold rooms by MTCSS are the perfect solution for those looking to maximise cold storage in supermarkets, restaurants, kitchens and much more. Designed to be easily assembled with no alterations to your premises or its construction needed, incorporating a walk-in fridge into your establishment could be the much simpler than you think. Our expert team at MTCSS boast over 50 years of experience in installing commercial cold rooms. Our team will ensure your walk-in cold room is installed efficiently, with as little hassle as possible. What temperatures do Walk-in Cold Rooms Operate at? 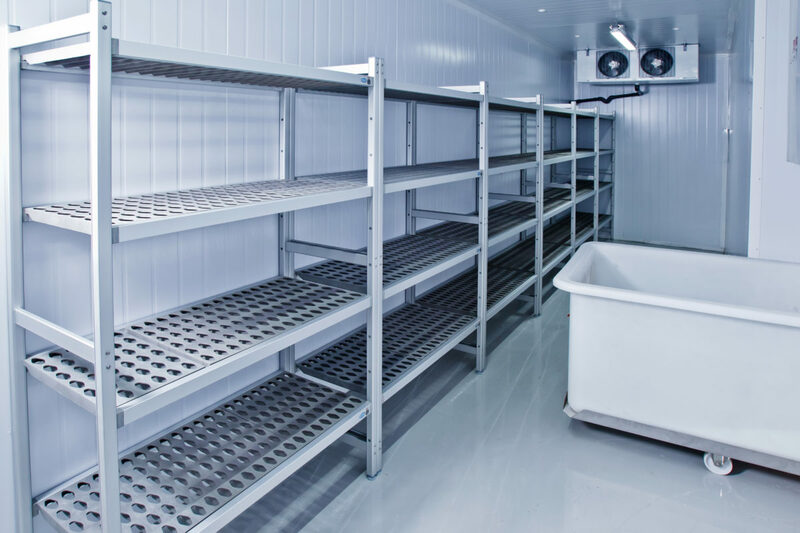 Walk-in cold rooms can often be mistaken for industrial freezers, yet the two industrial storage solutions have some distinct differences. Most commercial walk-in cold rooms operate at temperatures remaining between 0 C and 5 C, therefore remaining higher than the freezing point of water- acting as a large refrigerator. For this reason alone, a commercial fridge the ideal solution for products and materials that are required imminently. The amount of storage space you have available to you in your walk-in cold room relies on the methods you implement to maximise that space. Obviously, the size of the cold room itself has a prevailing effect on the amount of storage space, with the size of commercial fridges ranging from impressively large to fairly small. However, incorporating solution such as space-efficient shelving unit, allowing you to neatly organise all of your goods, can go a long way to maximising the space you have available to you. MTCSS offer many further solutions to maximising your cold room storage space. Think your business would benefit from the installation of a walk-in cold room form MT Cold Storage Solutions? Get in touch with one of our experts to discuss the options available to you on 01886 833381 or email sales@mtcsss.co.uk .